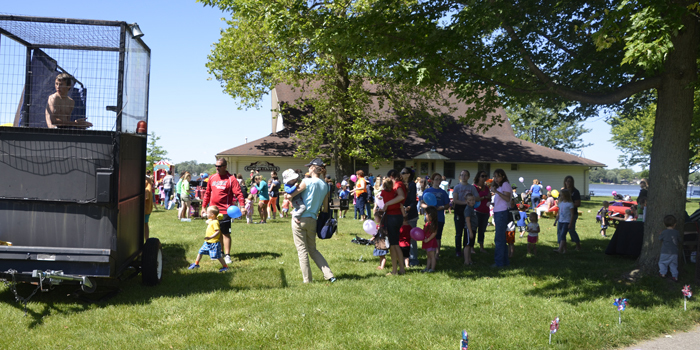 A Summer Lunch Kick-Off Carnival was held at Winona Lake Limitless Park Wednesday, June 7. WINONA LAKE — Wednesday, June 7, Warsaw Community Schools and Winona Lake Parks Department hosted a Summer Lunch Kick-Off Carnival at Limitless Park & Splash Pad, Winona Lake. 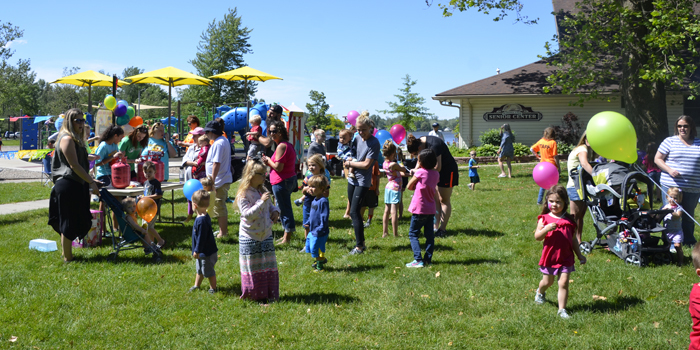 The carnival event was held to promote the Summer Food Service Program. Free lunch was available for kids, along with face painting, games, prizes and a D.A.R.E. officer dunk tank. 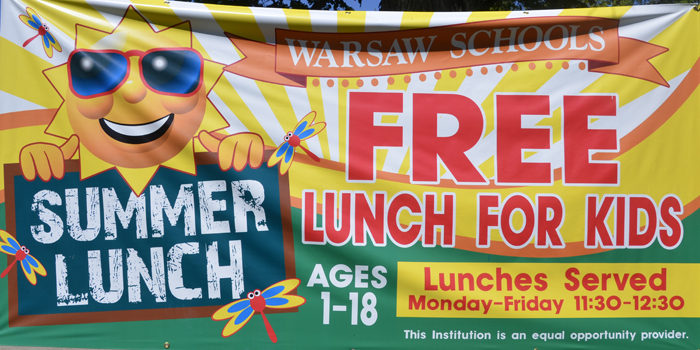 Warsaw Community Schools will be offering free summer meals again this year through the Summer Food Service Program, which provides no-cost lunches for kids and teens ages 1 through 18. Free summer meals for kids began June 5 and will run through July 28. The meals are available from 11:30 a.m. to 12:30 p.m. Monday through Friday at Winona Lake Limitless Park, 1590 Park Avenue, Winona Lake, and Center Lake Bixler Park, 503 North Detroit Street, Warsaw. No meals will be served at these locations July 3-7. Meals provided are for kids only, but parents may purchase a meal. 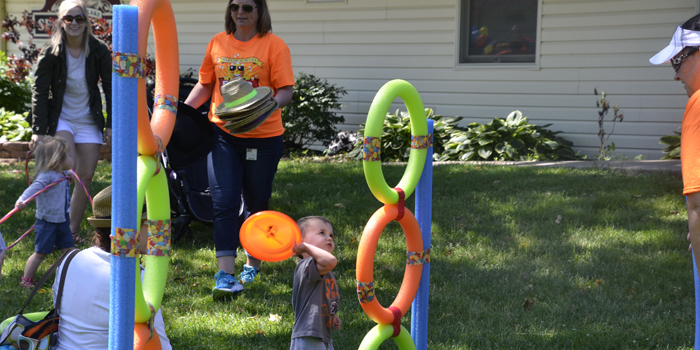 The event included games, prizes and a dunk tank. 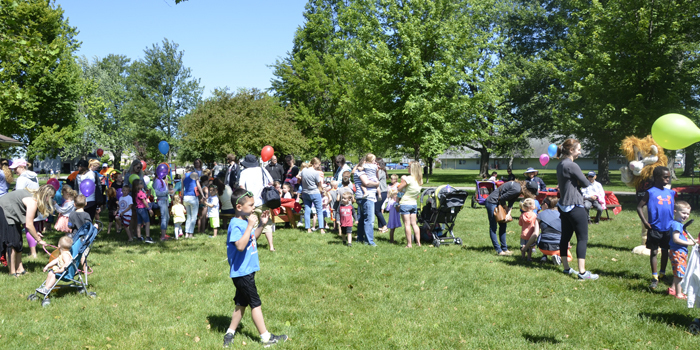 A crowd gathered at the Summer Lunch Kick-Off Carnival. 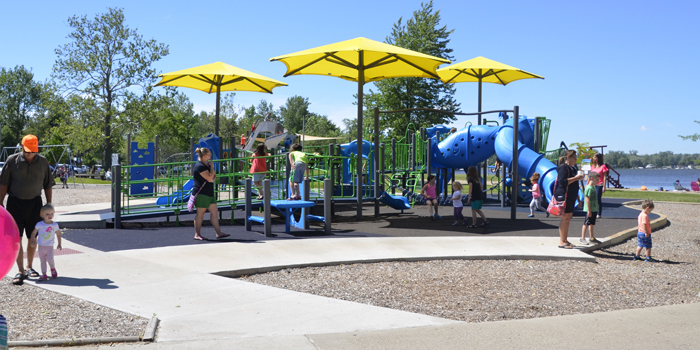 The playground area at Winona Lake Limitless Park. 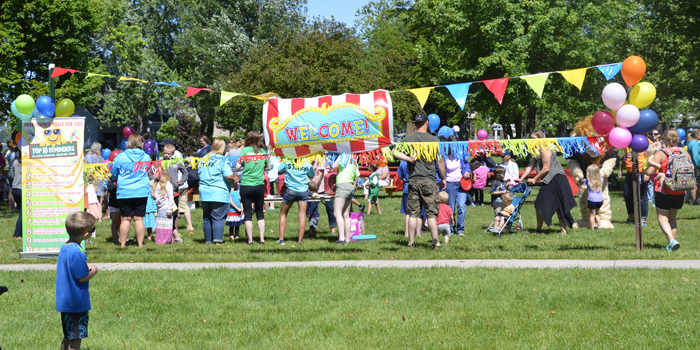 The Summer Lunch Kick-Off Carnival at Winona Lake Limitless Park, Wednesday, June 7. A line formed at the dunk tank. D.A.R.E. officers and D.A.R.E. 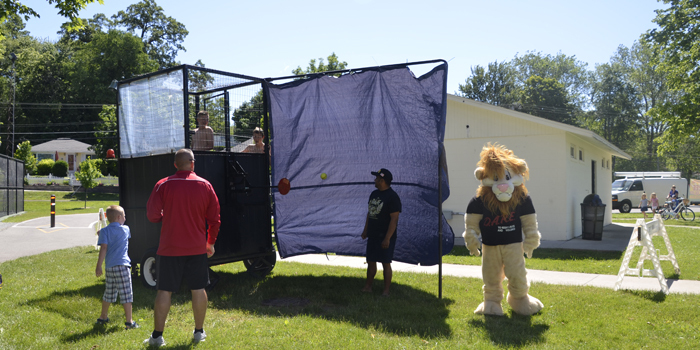 mascot Daren the Lion assisted with the dunk tank. 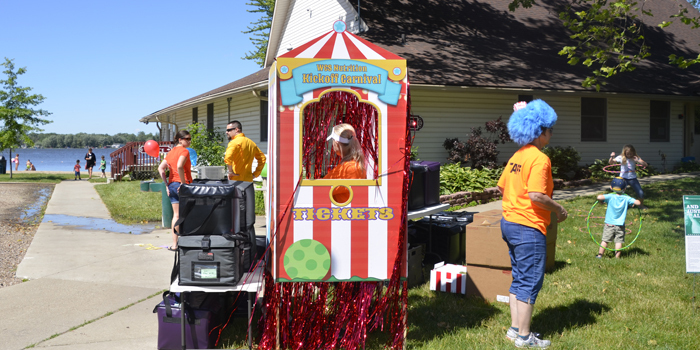 Ticket booth at the Summer Lunch Kick-Off Carnival.